All'interno delle attività di accesso transnazionale, il progetto ARIADNE offre a ricercatori l'opportunità di partecipare ad alcune Summer School e altre opportunità di formazione individuale sui temi della documentazione e catalogazione dei dati archeologici. Per il 2015 le call for application saranno aperte ogni tre mesi. Per il 2015 la prima call è aperta fino al 22 marzo 2015. Le summer school saranno ospitate dal Polo Universitario della Città di Prato (PIN), il Consiglio Nazionale delle Ricerche CNR-ISTI di Pisa e il Centro di Ricerca Athena di Atene. Saranno benvenute le applicazioni di interesse individuale e scientifico con la possibilità di beneficiare di formazione nella gestione dei data di ricerca archeologica. E' disponibile una sponsorship di 800 euro per coprire le spese di viaggio e alloggio senza tassa di iscrizione. Queste borse saranno assegnate su base competitiva, secondo la procedura descritta nel dossier di candidatura, basata sulla qualità dell'applicazione, il loro progetto proposto, e la loro dichiarazione personale. Sono disponibili 5-10 borse da ARIADNE per il 2015 per ciascun centro elencato di seguito. Le Summer School ARIADNE sono aperte a tutti i ricercatori. È previsto un massimo di 20 partecipanti per ogni scuola estiva con 5-10 studenti riceventi finanziamenti da ARIADNE per ogni corso. As part of its Transnational Access (TNA) activities, the ARIADNE project is offering researchers the opportunity to apply to participate in summer schools and individual training visits to carry forwards their own research. For 2015, calls for applications will be opened every three months. Researchers are invited to apply to participate in Summer Schools hosted by Consiglio Nazionale Delle Ricerche (Pisa) and the Athena Research Centre (Athens) and for individual training visits hosted by PIN (Prato) and the Athena Research Centre (Xanthi). We welcome applications from individuals with a scientific interest and ability to benefit from training in archaeological research data management. Sponsorship is available up to 800 euros per participant (to cover the cost of travel and accommodation) plus a tuition fee waiver. Bursaries are awarded on a competitive basis, according to the procedure described in the application pack and eligibility criteria below, and based upon the quality of the applicant, their proposed project, and their personal statement. 5-10 bursaries are available from ARIADNE in 2015 for each TNA centre listed below. ARIADNE Summer Schools are open to all researchers at a tuition fee of 500 euros. A maximum of 20 participants is planned for each summer school. The goal is to introduce: (a) the technologies for producing 2D and 3D documentation for archaeological purposes, considering both the small scale (artworks, findings) and the large scale (monuments, sites); and (b) the methodologies for providing visual access to the data gathered. The TNA will provide both lessons (presenting introductions to the techniques) and practical hands-on sessions to test and experiment with the technologies. Participants will be divided in small groups in the latter sessions. Individual work is a primary component of the TNA experience. It is expected that participants will bring research projects or tasks to be accomplished during the Summer School under the supervision and advice of the TNA tutors, and will practice on those case studies. Content: the course aims at providing students with an introduction to metadata design for archaeological datasets, with perspective content provided as case studies by the students. The school will consist of some introductive lectures followed by hands-on seminars in which the design is developed by the students with the supervision of ISTI experts and then collectively discussed. 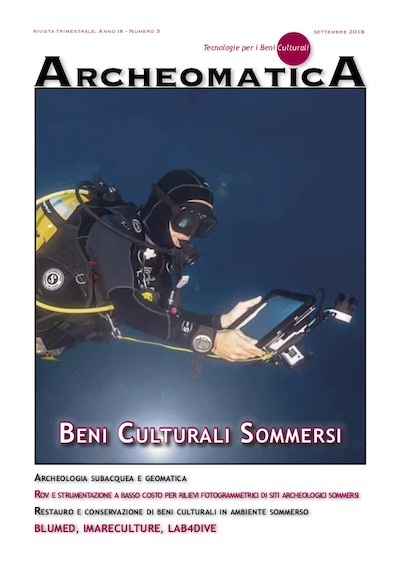 The goal is to enable researchers and professionals to engage with cutting edge and emerging digital practices of archaeological research, ranging from new methods to capture, organize and curate fieldwork information to new approaches to archaeological interpretation and dissemination, mediated by digital infrastructures. The TNA will provide ca. 20 researchers already engaged to some extent in digitally-enabled work (innovators, early adopters and early majority researchers, in Rogers’ diffusion of innovation model) with a structured format to share, discuss and elaborate innovative research practices and methods. Format: the TNA will focus on a detailed elaboration of a small number of scenarios or digitally-enabled archaeological research that make use of emerging digital infrastructures, tools and services, put in the context of select methodological sources on digital archaeology, bringing together the research experiences of participants, and leveraging the ARIADNE registry and other information systems, as well as ontological work on understanding archaeological practices and methods. It will combine formal presentations with structured discussion and breakout learner-oriented activities. Invited discussants and presenters will include members of the ARIADNE Special Interest Group on archaeological research methods and practices, collectively possessing significant expertise on digital archaeology, as well as visiting researchers attached to the network of foreign archaeological schools in Greece and neighbouring countries. Participants will be invited to co-author a report, summarizing lessons learned from the summer school, individual contributions, and a futures view on digital archaeology.